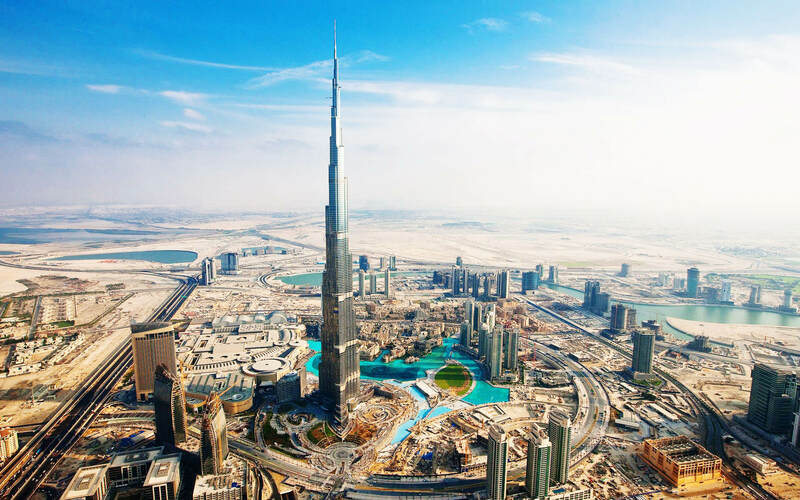 The United Arab Emirates has positioned as the business hub of the Middle East. Due to its strategic location, between the West and the East, at a 5-6 hour flight from major European and Asian capitals, and its more than 40 free-zones governed by liberal economic policies. Along with developed infrastructures, with modern logistics and manufacturing facilities, a business-friendly environment, a developed financial sector, and a stable political system. 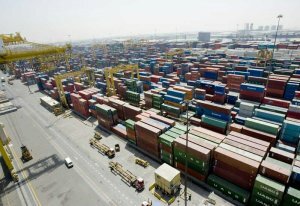 UAE has the ninth largest port in the volume of goods, Jebel Ali, and is the gateway to the Arabian gulf’s market, one of the fastest growing worldwide. Settling in one of the free trade zones, is certainly an attractive option for do business internationally, whatever it is your economic activity. And more bearing in mind that it is possible to easily get a residence visa through incorporation. There are also three offshore structures available, as we will see below, with similar benefits to the traditional Caribbean offshore companies, adding its reputation and good press as a solid jurisdiction. Especially in Dubai, where oil and gas, barely represent 3% of the economy. Positioning itself as the regional retail hub and a major player in the export market of industrial and manufactured goods, with the 9th largest port worldwide in terms of volume of goods. As well as being the largest financial hub in the region and being positioned as a top tourist and entertainment destination, where the most luxurious hotels worldwide are located, which in turn is the engine of the real estate, infrastructure and retail sectors. All this, being one of the safest countries and with the highest standard of living worldwide. 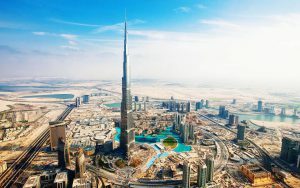 Incorporating a company into one of the more than 40 UAE’s free zones is a unique opportunity. Operate with a tax-free company from the territory, where international control and tax authorities do not consider as offshore. Unlike the rest of UAE, where the foreign-ownership is restricted to 49%, in the free zones, this rule does not apply. Foreigners may fully own an entity, which is entitled to trade internationally and within the free zone. Totally direct tax free, exemption from corporate tax for most economic activities, the absence of personal income tax and practically no additional cost related to the payment of wages. Free repatriation of capital and profits, free transfer of funds and a full exemption from import and export duties. Provided that goods are not sold in the local market. The company also benefits from confidentiality. In most free-zones, there is no public register where the names of shareholders and directors are disclosed. All this combined with a highly developed logistics infrastructure, affordable energy costs and a strategic geographical location for trade in Europe and Asia. In addition to have access to more than 50 tax treaties available. Most free zones are geared to a specific economic sector. For example, Dubai Healthcare City is a Medical Hub, Dubai Technopark for IT firms, Dubai Financial Center for banks and insurance businesses, or Jebel Ali where most companies registered are involved in cargo ship management. This makes it an ideal business environment for establishing partnerships and optimizing the business development. The company is considered resident and therefore will need a specific license to operate, according to its economic activity. The most common license types are commercial, e-commerce, service and industrial. The requirements to obtain one vary, but for holding companies, commercial or professional services such as consulting, tend to be quite lax and the process is considerably simple. Enterprises incorporated into free zones can purchase real estate in designated areas and in government-approved development projects. After the incorporation is relatively easy to obtain a residence visa, both for shareholders, managers and their families as well as for their employees, as we will see later. Unlike traditional offshore companies, the legal requirements for establishing and maintaining the company are more demanding and the costs of incorporation and maintenance are considerably higher. Operate directly outside the free zone is forbidden, to do it you must hire a local intermediary. The activities of the company are restricted to the type of license obtained. It may not carry out any activity that is not expressly permitted. Doing so may lead to penalties and eventually dissolution. Some activities such as construction, engineering consultancy, recruitment, legal services, security services and real estate agency services, may be restricted in some free zones. Although there is no restriction on nonresidents to own a company, you should appoint a local representative agent to deal with the authorities. The required share capital is usually high, which varies depending on the area, business form, economic activity or number of shareholders. It can be from AED 50,000 (USD 13,623) up to AED 1m (USD 272,480) for large production companies. But capital reserves are not normally required, so after the formation, it can be invested in the business. Normally rent an office is required, which must be renewed annually. Anyway, it will depend on the area, in some as JAFZA requires a minimum office space of 26.88 sq. m., while in others such as Fujairah Creative City it is not required for certain activities. In most cases, rent offices or facilities outside the free zone is not allowed. Some free zones, especially those specialized to a specific economic sector, require the presentation of a business plan and its approval by the free zone’s board of directors. Regarding accounting, the annual audit requirement is common. Although once again, it depends on the zone. For example, in JAFZA is mandatory, while in Fujairah Creative City it is not. It is primordial to ensure, through local advice, that the kind of business you are going to carry out complies the regulations and laws of the country. Doing business in the UAE has its peculiarities and you must make sure that your economic activity does not violate any Islamic value. Flag Theory has access to qualified consultants and advisors in UAE who can help you, contact us for further information. Registering or participating in a UAE company entitles you to apply for a resident visa. The process is relatively simple and part of it can be done online. Usually, visas are valid for up to 3 years, renewable unlimited, as long as you own a company and you visit the country at least once every 180 days. Absence for a longer period may lead to its cancellation. The visa entitles its holder to reside in any of the 7 states of UAE. It is not necessary that the company carries out a real commercial activity in the territory, but the you must own shares with a value of at least AED 50,000 (USD 13,623). It requires the payment of several fees and the total cost is around AED 3,200 (USD 872). The company may not only sponsor shareholders, but also managers and employees. Once you have obtained the visa, you can sponsor your relatives. The number of visas for your foreign employees is restricted to the size of the leased office or facility. After obtaining the residency, your dependents may apply for a valid 3-year visa, renewable. You must demonstrate family ties and get at least AED 4,000 (USD 1,090) per month. A man may not apply a visa for his children, if it is not together with his wife, unless the latter has died. The residence visa is also available for those who invest at least AED 1m (USD 272,480) in real estate of a designated area and approved by the Government. In this case, the visa has a validity of 2 years and it does not entitle to apply for a work permit. 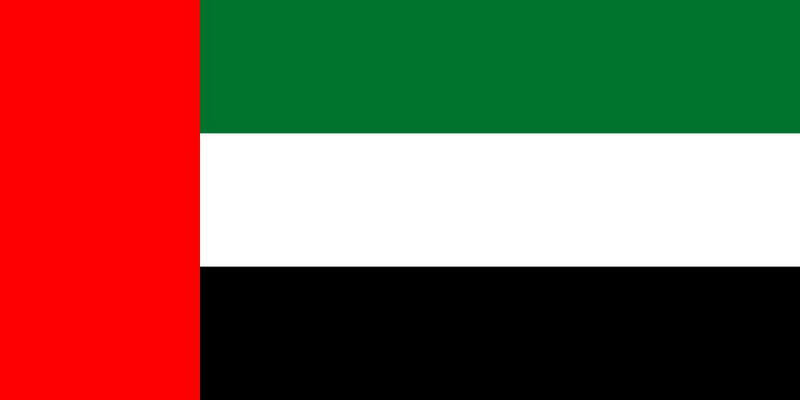 Citizens of GCC countries do not require a visa to settle in UAE. The registration of the company, the visa application and the respective formalities usually take about 1 month to complete. There is no permanent residence visa, which means that every three years you must renew the visa. Getting citizenship, in principle, requires 30 years of residence, 7 if you are from Qatar, Oman or Bahrain. You will be required to have knowledge of the Arabic language and renounce your previous nationality, among other requirements. Living or doing business in the UAE, can be considerably different from your home country. Keep in mind that Islamic values support everything from their legal systems to working life. So, the rules for doing business and living in your home country may not apply in UAE, therefore you should be prudent and spend a learning period to understand and get used to its culture, traditions and particularities. The JAFZ is in the Emirate of Dubai and is the main trading hub of the Middle East, located around the world’s largest artificial port and the ninth in the volume of goods. Although conceived for the distribution of goods throughout the Arabian Gulf, it currently supports the formation of companies from a wide range of activities ranging from commercial, manufacturing, e-commerce or professional services. Usually, across all UAE free zones, there are two types of companies limited by shares available. The so-called Free Zone Company (FZCo), which is formed by more than one shareholder, and a Free Zone Establishment, formed by a sole shareholder. FZCo in JAFZ, can be formed by individuals or corporations, up to 50 shareholders. The minimum paid-in capital required is AED 500,000 (USD 136,239) and shares shares may be denominated in AED or USD. To form a FZE with a sole shareholder is required to deposit AED 1,000,000 (USD 272,480) in share capital. Both entities require a director, a secretary and a manager (can be the shareholder, director or secretary), which can be an individual or corporation and non-resident. The details of the shareholders and directors are not disclosed publicly. A general annual meeting is required. In JAFZ, a Public Company Limited (PLC) is also available. Formed by at least 2 shareholders, a PLC may invite the public to subscribe its shares and must list its shares in a stock exchange. A PLC requires two directors, of which one must be a natural person, resident or non-resident. It requires a secretary, and a manager, who can be the shareholder, director or secretary. Offshore companies are also available as we will see later. The other option is to set up a branch, which does not require a minimum capital and will operate under the same name and run the same business of the parent company. Limited companies should appoint an auditor, and file the audited annual accounts to the relevant authorities. The redomiciliation of a foreign company to JAFZ is allowed. Virtual offices are not allowed. The registration fees of a FZE or FZCo are AED 10,000 (USD 2,725) and AED 15,000 (USD 4,087), respectively. For a subsidiary would be AED 5,500 (USD 1,498). The annual licenses fees are 5,500 (USD 1,498) for the industrial or services, from AED 5,500 (USD 1,498) to 12,500 (USD 3,406) for trading (depending on no of product lines) and up to 30,000 (USD 8,174) AED for general trading (without restrictions). Shareholders will have to travel to JAFZ to formalize the company registration, and the whole process may take about 3 weeks. The JAFZs are obliged to rent an establishment or office, the estimated minimum annual cost is about AED 35,000 (USD 9,537). Located at the entrance to the Arabian Gulf, in the Emirate of Ajman, the AFZ is strategically located only 12 km from Dubai with easy access to two international airports and four ports. It also benefits of an extensive outdoor connection via road networks with Oman, Bahrain, Qatar, Iran, Kuwait and Europe. In addition, it stands out for its easy access to a large work force with more affordable salaries than in other areas. It mainly includes companies dedicated to commerce, especially e-commerce, distributors, storage services, but also providers of professional services such as management, marketing and IT consulting. Industrial companies are reserved for GCI nationals, who must own at least 51% of the company’s property. FZE (sole shareholder) and FZCo (2 to 5 shareholders) may be formed by individuals or corporations. The minimum paid-in capital required is AED 185,000 (USD 50,408). Shares may be denominated in AED or USD. A resident director is required. Secretary is not required. The details of the shareholders and directors are not disclosed publicly. General annual meeting is required. Audits are not normally required and there is no registration fee. Annual license fees are considerably cheaper than those of JAFZ. The trading license fee varies between AED 3,000 (USD 817) and 5,000 (USD 1,362), depending on the number of product lines. Services license is AED 5,000 (USD 1,362), and both industrial and trading license without restrictions is AED 7,000 (USD 1,907). It is not required to rent a physical office and virtual offices are allowed. The redomiciliation of a foreign company to AFZ is allowed. Registering an AFZ company can be done remotely, and may take from 6 to 8 weeks. It is also possible to register an offshore company in 2-3 days as we’ll see below. Located in the Emirate of Sharjah, the HFZ is oriented to industrial activity. It has access to one of the largest cargo centers in the UAE, as well as maritime ports on the East and West coasts with uninterrupted access to the Indian Ocean. Its geographical location, advanced infrastructures and easy accessibility through land, air and sea have made HFZ one of the most industrially developed free zones. Although, almost any activity is allowed, as long as it complies with the laws and regulations of the State. FZE (sole shareholder) and FZCo (2 to 5 shareholders) may be formed by individual or corporations. The minimum capital requirement of AED 150,000 (USD 40,872), which must be paid up. Shares may be denominated in AED or USD. Two directors and two secretaries required, one of the directors must be resident. The details of the shareholders and directors are not disclosed publicly. A general annual meeting is required. Both FZE and FZCo must appoint an auditor, and file audited accounts annually. They are also required to rent a facility or office within the free zone. Re domiciliate an existing foreign company is allowed. Companies incorporated in HFZ are subject to a registration fee of AED 9,000 (USD 2,452). Industrial, trading and services licenses are AED 2,750 (USD 749) annually. Companies that trade more than 5 products are subject to a trading license fee of AED 12,000 (USD 3,270). The entire registration process may take from 6 to 8 weeks. The RAK FZ is one of the most attractive areas to establish a business in UAE and one of the fastest growing business hubs. The emirate of Ras al Khaimah is in the northern part of the country, well connected by express roads, approximately 1 hour drive from Dubai. One of the biggest advantages of RAK is that business and living costs are one of the most affordable of the country. In RAK FZ can be incorporated both FZE (sole shareholder) and FZCo (2 to 5 shareholders), and corporate shareholders are allowed. The minimum paid-in capital required is AED 150,000 (USD 40,872) for FZE and AED 250,000 (USD 68,120) for FZCo. Shares may be denominated in AED or USD. Two required directors and secretary, one of whom must be a natural person. The details of the shareholders and directors are not disclosed publicly. A general annual meeting is required. Both FZCo and FZE must appoint an auditor and file audited accounts annually. It is required to rent a workspace, office or facility; its minimum estimate annual cost is about AED 28,500 (USD 7,765). The registration fee is AED 7,000 (USD 1,907), while licenses are AED 5,000 (USD 1,362) for industrial, AED 3,650 (USD 995) for trading (up to 7 product lines), AED 7,500 (USD 2,403) for consulting or services, and AED 15,000 (USD 4,087) for trading without restrictions. Shareholders must travel to RAK to formalize the company’s registration, which may take about two weeks. Fujairah is located on the east coast of the country, bathed by the Gulf of Oman, two hours from Dubai and three and a half hours from Abu Dhabi. It is well connected by express roads, its international airport and by the port of Fujairah, with access to the main sea routes worldwide. The free zone is aimed at consulting, internet businesses, holding companies, marketing, media, events, consulting, education, communication, music and entertainment, design and information technology. Licenses are not granted for industrial activities. The license and incorporation costs are the most affordable of all the free zones of UAE. In addition, legal establishment and accounting requirements are much more flexible. There is no minimum capital required, being one of the most attractive option for startups and freelancers. Both FZE (sole shareholder) and FZCo (2 to 5 shareholders) are available. They may be formed by corporate or individual shareholders. As I mentioned, there is no paid in capital requirement, and shares may be denominated in AED or USD. A Director and a secretary are required, who must be natural persons. The details of the shareholders and directors are not disclosed publicly. There is no audit requirement for companies incorporated in FFZ, nor is the filing of annual accounts. The redomiciliation of a foreign company is allowed. Companies incorporated in this free zone are not required to lease a physical establishment or office. The registration fee is AED 4,000 (USD 1,089), while annual license fees are AED 12,500 (USD 3,406) for services and trading, and AED 10,000 (USD 2,725) for freelances. The registration process can be done remotely and takes about a week, the fastest among all free zones. 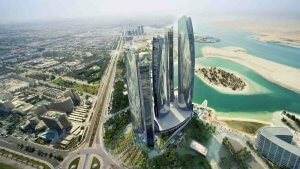 Abu Dhabi Global Market, an international financial centre located on Al Maryah Island. Non-financial companies such as law firms, accounting firms, holding companies or management offices, among others, may be established under the Registration Authority authorization. Masdar city, a cleantech cluster near Abu Dhabi International Airport and 17km from the downtown. Aimed at the development of energy solutions and clean technologies. Abu Dhabi Airport FZ, development of the aviation infrastructure. Twofour54, development of Arabic Media and entertainment content. Khalifa Industrial Zone, industrial cluster, with high class infrastructure, transportation and logistics in a low operating cost environment. Dubai International Financial Centre, the major financial hub for the Middle East, Africa and South Asia markets. Dubai Academic City, a free zone for schools, colleges and universities. Dubai Airport Free Zone, fast and effective cargo clearance services with the presence of international freight forwarders and logistics. Dubai Healthcare city, divided into healthcare, with more than 120 medical facilities, medical research and education, and wellness areas. Dubai Internet City, an information technology park in the presence of firms such as Microsoft, Facebook, Google, Linkedin, Samsung, IBM, Huawei, Intell or Dell, among others. Dubai Media City, a regional hub for media organizations including news agencies, publishing, online media, advertising, production, and broadcast facilities. Dubai Multi Commodities Centre, regional hub for global commodities trade, with access to market infrastructure and physical facilities such as gold and diamond vaults, trading platforms and a range of commodities backed financial investment tools. Dubai Outsource zone, with high-developed infrastructure and ideal environment for outsourcing companies to set up global or regional hubs servicing the worldwide market. Dubai Industrial Park, an industrial cluster aimed at food and beverage, transport equipment and parts, machinery and equipment, mineral products, base metal and chemicals. Dubai Design District, aimed at startups, entrepreneurs and established international design, luxury and fashion brands. Energy and Environment Park, for clean energy and environmental technology industries. Dubai Silicon Oasis, a technology park wholly owned by the Government of Dubai. Dubai World Central (Dubai Logistics City), mainly aimed at transportation and logistics businesses. Dubai Flower Centre, located at the Dubai International Airport, aims at developing and promote the floriculture industry. Dubai Maritime City, the world’s most comprehensive maritime complex aimed at networking and integration of leasing maritime companies. International Media Production Zone, for graphic art, publishing and packaging industries. International Humanitarian City, aimed at humanitarian organizations to facilitate aid and development efforts across the globe. Dubai Studio City, for broadcast, film, television and music production industries. Dubai Biotechnology & Research Park, a global life science industry cluster. Ahmed Bin Rashed Port & Free Zone, targeted to light industrial development. Sharjah Airport International Free Zone, covers several industries such as IT services, media, consumer durables and light to medium manufacturing, among others. RAK Maritime City, aimed at the maritime industry for retail, warehousing, general cargo handling, industrial production and manufacturing, tank storage and shipbuilding or repairs. RAK Media Free Zone, for businesses conducting publishing licenses, TV and radio broadcasting licenses, production and post-production, media and marketing services licenses, music production and recording activities. Fujairah Free Zone, adjacent to the port of Fujairah, covers a wide range of economic activities, industrial, service and trading. There are 3 free zones where you can set up an offshore company in UAE: RAKICC, JAFZA and AFZ. Offshore companies are entitled to do business internationally and may not carry out trade or business within UAE, or any free zone. This includes rent offices or facilities within the territory. Although they are allowed to have relationship with residents providing certain professional services such as legal or consulting, and they have access to the banking system and can open corporate bank accounts. 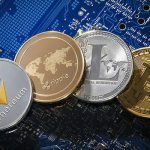 They are generally allowed to carry out activities such as international trade, overseas consulting and advisement, international professional services, holding company, hold intangible assets, investment and joint investment company, intermediary brokers, overseas property owning, shipping and ship management. An offshore company in UAE is a powerful instrument for asset protection, wealth management, tax planning and optimization, as well as being easy to incorporate, manage and with low accounting requirements. It goes without saying that they are fully exempt from all taxes, and only subject to a license fee, which must be renewed annually. In addition, offshore companies incorporated into JAFZ (Dubai) may exceptionally acquire real estate in designated areas and in government-approved development projects. One of the strengths of incorporating an offshore company in UAE, is that, despite being a tax-free jurisdiction, it has prestigious internationally and good press, especially Dubai. So, if the incorporation is not merely for holding purposes and you have public exposure, you may benefit from a high reputation jurisdiction. Where your company will not be susceptible of being considered obscure or set for illegitimate purposes, while enjoying all economic and legal advantages of an offshore entity. JAFZ Special Status Non-Resident Companies are companies limited by shares. They have restrictions to do business within UAE, except for the negotiation and purchase of real estate in designated areas of Dubai. They can also participate in companies incorporated in UAE, inside or outside the FZ. The company can be formed by 1 to 50 shareholders, who can be individuals or corporations. It requires two directors, which must be natural persons and may be nonresidents. A secretary is required. Details of shareholders and directors are not available to the public. Nominee shareholders and directors are permitted. Annual meetings can be held anywhere. The company must have a registered address, which will be provided by your registered agent approved by JAFZ. At the time of registration, the shareholders must personally appear to sign the documents. The documents of incorporation can be in English. The re domiciliation of a foreign company is allowed. There is no minimum capital requirement. Issued shares may be in any currency and are usually on a non-paid up basis. Bearer shares are not allowed. JAFZ offshore companies must maintain accounting records, appoint an auditor and present the audited financial statements annually. Registration fees are AED 10,000 (USD 2,725), which must be renewed annually for AED 2,500 (USD 681). Registration may take about 1 week. Company incorporated in a high reputation jurisdiction, Dubai. Allowed to buy real estate in Dubai. Two directors required, corporate directors not allowed. Physical presence to register the company. RAK IC is the most popular offshore company in UAE. Previously, there were two offshore registrars available in Ras al Khaimah, RAKFTZ and RAKIA, which offered two different offshore structures, RAK IBC and RAK Offshore. In 2016 the two registrars were merged into RAKICC (Ras al Khaimah International Corporate Center). RAK ICs can be limited companies by shares or by guarantees. They are entitled to do business outside the country and the free zones. As we’ll see later, RAK ICs may open a bank account in UAE. The company may be formed by 1 to 50 shareholders or members, who can be individuals or corporations. A single director is required, which may be a corporate or natural person, resident or non-resident, and may be the shareholder / founder. A secretary is required who may not be a resident. There is no public record that discloses the name of the members, shareholders, directors or beneficiaries. Nominee shareholders and directors are permitted. Annual meetings can be held anywhere. RAK ICs must have a registered agent approved by RAKIA (RAK Investment Authority), which will provide the required registered address, which may be in Ras al Khaimah or even in Dubai. Shareholders may delegate the power of attorney to a representative and therefore will not be required to be personally present at the time of registration. The documents of incorporation can be in English. The transfer of domicile of a foreign company to RAK is allowed. There is no minimum paid up capital. 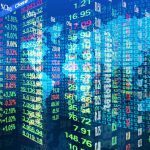 Shares may be denominated in any currency and may be with or without par value, treasury shares, bonus shares, partly paid or nil paid shares and fractional shares. Bearer shares are not allowed. RAK international companies must maintain accounting records, but they are not required to file annual reports, nor must they file annual audits of their financial statements. The annual license fee is AED 2,000 (USD 545). Registration process may take 2-3 days. Availability of several types of entities. Purchase of real estate in UAE or FZ territory not allowed. The Offshore Companies incorporated in Ajman FZ are a company limited by shares. They may have restrictions to do business within the UAE. The company can be formed by 1 to 50 shareholders, who can be individuals or corporations. It requires the appointment of a director, who may be a natural or legal person and resident or non-resident. A secretary is required, who must be a resident. The names of the shareholders and directors are not disclosed publicly. Nominee shareholders and directors are admitted. Annual meetings can be held anywhere. The registered agent is mandatory, which will provide the registered address of the company, which may be in Dubai. Shareholders can form the company remotely, through a legal representative. The documents of incorporation can be in English. Enterprises incorporated abroad may re domicile in Ajman. Default amount of share capital is AED 10,000 (USD 2,725), which may not be disbursed, and may be in any currency. Shares may be ordinary shares, preferred shares, deferred shares with or without voting rights. Bearer shares are not allowed. Ajman’s offshore companies must maintain accounting records and prepare annual financial statements, but there is no filling or audit requirement. Offshore company registration fee is AED 4,300 (USD 1,171), and the annual renewal fee is AED 6,000 (USD 1,634). No audit and filing requirements. 1 director required, which can be corporate. 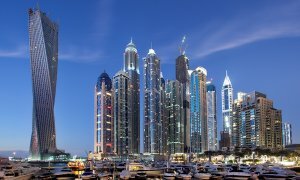 Purchase of real estate within UAE not allowed. The banking sector in UAE is considerably solid and capitalized. It is one of the largest of the MENA region, accounting for about 182% of GDP at current prices and 238% of non-oil domestic output of the country. UAE has the main financial hub of the region, the Dubai International Financial Center, and another sizeable and expanding financial center, the Abu Dhabi Global Market. The sector is made up of 23 local banks and 28 foreign banks. The Emirates NDB, the National Bank of Abu Dhabi, First Gulf Bank and the Abu Dhabi Commercial Bank are the most prominent entities and jointly bring together more than 50% of the assets. The National Bank of Abu Dhabi, Abu Dhabi Commercial Bank, Union Bank and First Gulf Bank, are the most solvent and safest banks. It is not possible to open a bank account remotely, so you will have to step on the ground and go personally. For residence visa holders, it is quite simple to open a personal account and there are usually current, savings or combined accounts available. For non-residents, the picture changes a bit, but, although it may be somewhat more complicated, there are a number of banks that are willing to open savings accounts and provide debit cards. The minimum balance required for non-resident accounts varies depending on the bank, but ranges from AED 10,000 (USD 2,725) to AED 300,000 (USD 8,743) or even more. At Flag Theory, we have strong relationships with several UAE banks, where our introduction can lead you to open a bank account, email us at [email protected] or fill out this form for further information. Savings accounts and deposits are available in major world currencies such as USD, EUR, GBP, JPY, CHF, AUD, SGD, HKD, as well as currencies from Gulf countries, among others. You can also open multi-currency accounts. The required documents usually are, apart from the passport with its corresponding entry stamp, a utility bill with your name and home address, a bank reference letter and / or bank statement and / or an introduction letter from an existing customer. In some banks, they may ask for a CV with professional references. For residents, they must also provide a copy of the visa in their passport and resident ID card. With regard to corporate accounts, both FZ and offshore companies can open corporate accounts easily and quickly if the required documentation is properly submitted. Although, some banks only open corporate accounts if the shareholder holds a resident visa. The required deposit, as well as the minimum ongoing balance, depends on the bank but may range from AED 25,000 (USD 6,811) to AED 500,000 (USD 136,232). The amounts required for offshore companies are usually higher. Most banks only issue a debit card linked to the shareholder’s personal account, although some offer it for corporate accounts of FZ companies. Corporate credit cards are only available at some banks and against a fixed deposit. To open a corporate account, in addition to the aforementioned documents for personal accounts, the shareholder must submit the memorandum and articles, certificate of incorporation and license, documents on shareholders and directors, and a certificate of good standing. Some banks may require additional documentation such as existing contracts, business partner reference letters, business plan or proof of funds’ source. There is a considerable difference between a bank’s fees policy, as well as online banking and customer service quality. It is recommended to do a deep research and consult to choose the most suitable bank. At Flag Theory, we can help you with this. Both offshore companies and non-residents usually do not have access to loans, for FZs it may be in some cases somewhat difficult to get financing, especially for startups. Regarding the exchange of information for tax purposes, UAE has committed to do the first automatic information exchange of information (AEOI), through the Common Report Standard (CRS) of the OECD, in 2018. Since 2016 there is an IGA in force between UAE and USA for the implementation and compliance of the FATCA by the financial institutions of the country. Definitively the UAE free zones provide a myriad of incentives and opportunities for doing business in one of the fastest economic growing regions worldwide. Where you can move your business operations and establish a completely tax-free company, while benefiting from the broad list of tax treaties that has concluded the country. This unique feature, a fully tax-free company with access to tax treaties, is a powerful instrument for structure your business internationally and set up a holding company to minimize taxes and maximize profits, as we explained a while ago in this article. Although in most free zones setting up costs and requirements are high, there are flexible and affordable options such as Fujairah Creative City for small professional services oriented companies. For larger trading and e-commerce companies, there may not be many places better than Jebel Ali to establish, a high-developed logistic infrastructure next to the ninth largest port worldwide in the volume of goods at the crossroads of the east and the west. Setting up a FZ company also leads you to a resident visa. 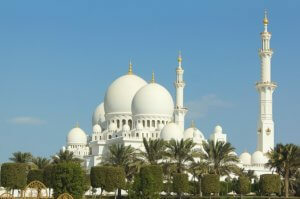 Abu Dhabi and Dubai are cosmopolitan livable cities, with a high standard of life. And although there are cheaper places to live, specially in Asia, consider that you will save a handsome amount of tax money, since UAE has no direct personal taxes. UAE is one of the few jurisdictions worldwide where you can get a fully tax residency, no matter where your income is derived from. Regarding offshore companies, RAK IC is the most flexible and affordable entity. Unless you want to use the company as a vehicle for purchase Dubai real properties, RAK IC is the preferable option. And you can even set up a RAK IC with a Dubai registered address, which can give a plus of reputation to your business. This is one of the advantages of offshore companies in UAE, with similar benefits of those from the Caribbean, the jurisdiction is not continuously in the spotlight of the press and they are entities in which foreign international banks are willing to work with. UAE also has a solid and capitalized financial sector. Most banks are willing to open bank accounts for offshore companies, but bank fees, ongoing balance requirements and customer service vary significantly from bank to bank. Although sometimes tricky, non-residents can open personal savings accounts and get a debit card. Contact us for an introduction. At Flag Theory, we can lead you to set up your company in UAE, contact us for a consultation to find the most suitable UAE’s company and free zone options according to your business activity, circumstances, needs and priorities, to ease your decision-making. If you are ready to incorporate, either onshore or offshore, let us do the process for you, incorporate now, and we’ll make sure you will be able to do business, banking and get your residency visa in UAE as soon as possible.